Ice Cube’s Big 3 Tournament has served as a form of nostalgia for basketball fans worldwide. Most specifically, word of Allen Iverson’s return to the hardwood court drove millions of spectators to arenas all over the country, beginning in Brooklyn’s Barclays Center. Ice Cube greets fans and spectators prior to the Big 3 Chicago tip-off. By Week 5 in Chicago, our sights were still set on the opportunity to come face-to-face with NBA legends, serving as both players and coaches. Rashard “Sweet Lew” Lewis during the post-game press conference. Julius “Dr. J” Erving coaching his Tri-State team on the sidelines. Spectators prepare for the first game’s entrance. Here’s a recap detailing real fan stories and player statements, including answers from The Answer himself on his return to basketball and his influence on the culture. Creativity in support for The Answer was aplenty. One couple traveled all the way from Hong Kong to see Allen Iverson in person. This isn’t their first rodeo – during their previous meet-and-greet with AI, the couple decided to name their newborn child “Allen.” Keep up with their travels on Instagram @ai3foreverhk. Hong Kong loves AI #3. 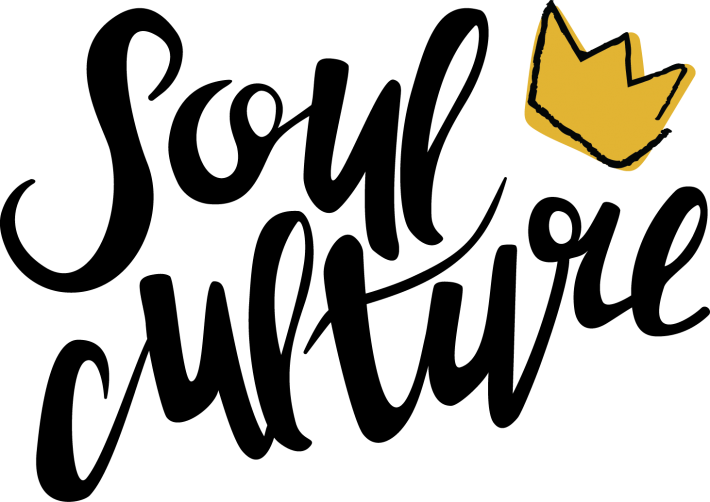 You’ll spot this sign in the background of several AI court photos. There were countless kids excited to see the likes of Dr. J, Allen Iverson and other NBA legends in person. Most of them too young to have watched these greats on the professional playing field, but crediting YouTube clips and TV interviews for their exposure to classic basketball. Fan love for Ice Cube. This little one was named Allen Isaiah so his mom could nickname him AI. The perfect opportunity to rock throwback jerseys. Celebrities got in on the action, too. Appearances included Chance the Rapper, Taraji P. Henson and DMX – the latter provided an impromptu intermission performance of Ruff Ryders’ Anthem. Shoutout to Joe Freshgoods and the Fat Tiger family (DBM Merch). 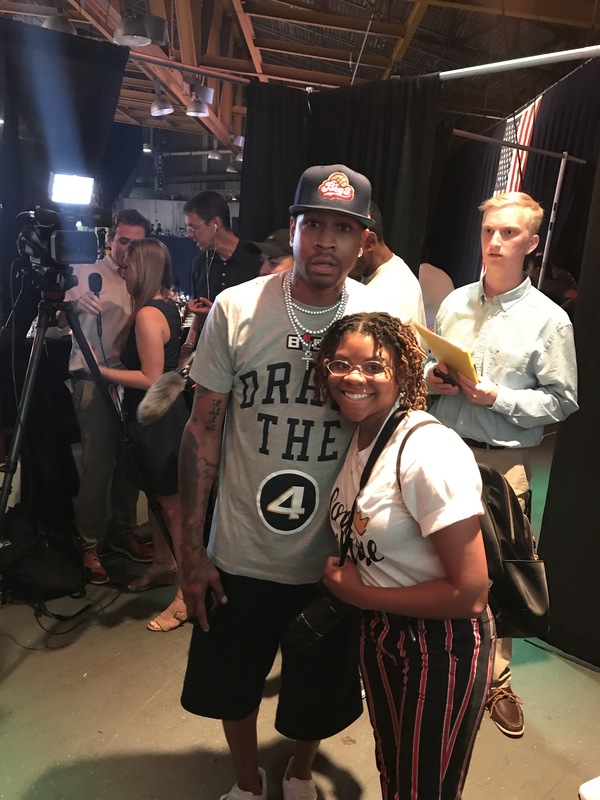 Reporters questioned Allen Iverson on the impact of the Big 3 Tournament and his experiences coaching from the sidelines as opposed to playing on the court. 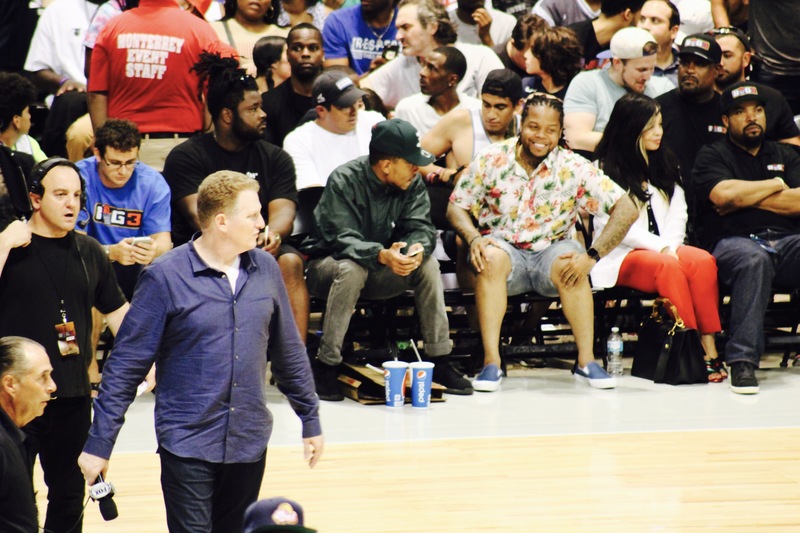 As an appeal to our readers, Soul Culture wanted to know how Iverson perceived his indubitable influence on urban pop culture, even outside of sports. You inspired so many ball players to be unique and be themselves. Did you think you’d have that impact? Nah, I didn’t put any thought into it. I wake up every day happy with being the person that I am. I’m very comfortable in my own skin, so it was going to look like that anyway. You don’t have to try to be yourself. Watch Allen’s full press time at the Big 3 Tournament’s stop in Chicago below (Soul Culture question at 0:54). Thanks for fulfilling this girl’s middle school dream.